Whew. A finished project! I finished my paper mache book box this morning. Took quite a few photos and now I'm ready to share with you, this labor of love. 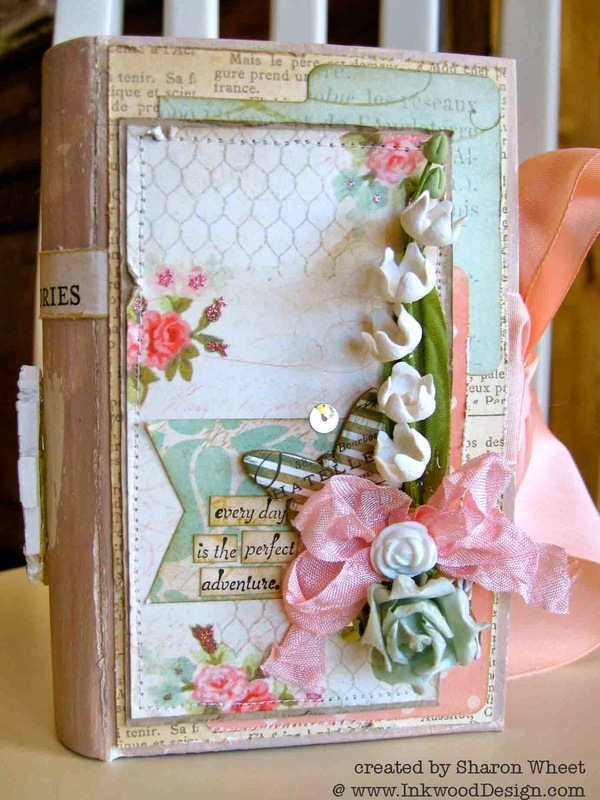 I purchased a paper mache book box from one of those big box craft stores. So, they should be relatively easy for you to find one. You can always order one off the internet, but I'm not a fan of shipping costs. 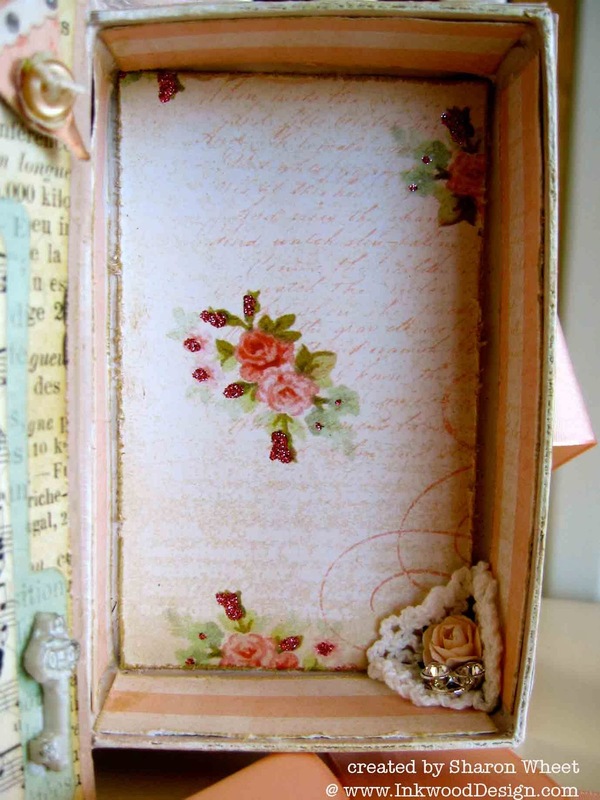 (Frugal, one might say) The book box measures 4" wide by 6" tall and 1 1/2" deep. So, it's not huge, but the measurements are perfect when using 12" x 12" pattern paper. I used a sketch from Cardabilities #91 for my inspiration to create the cover. I just love this floral pattern paper by Market Street. It adds so much sweetness without giving you a cavity (haha). I wanted to add a little surprise, so I placed a small white crochet doily and a pale pink paper blossom to the bottom right corner. 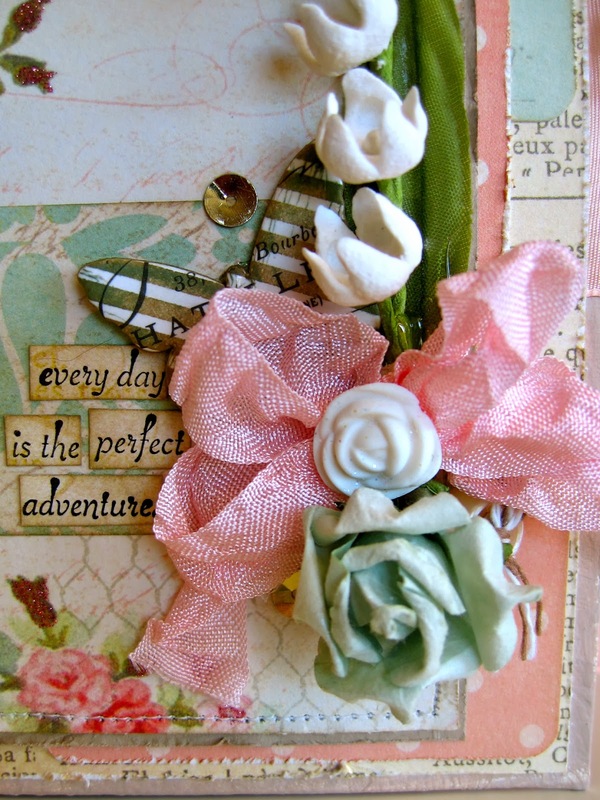 I also added a little bit of sparkle by including a link from a Melissa Frances dangle. I wanted the back to have a bit of charm, too. But, I also wanted to keep it flat, incase the owner wants to lay the book box down. I used the same pattern paper - Market Street. But I used a part of a pattern text paper that had this open area. So, I used a stamp from The Sweet Life by Paper Trey Ink. 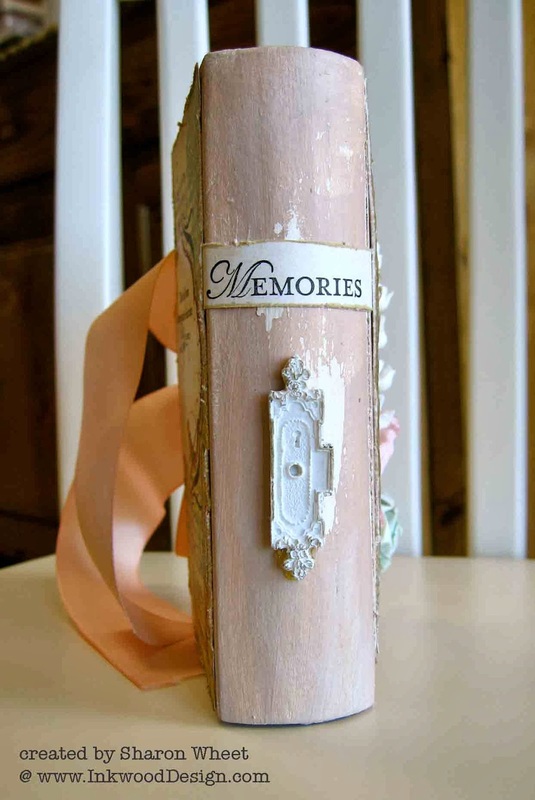 I thought is was fitting for a memory box. I also added my signature stamp along the bottom. 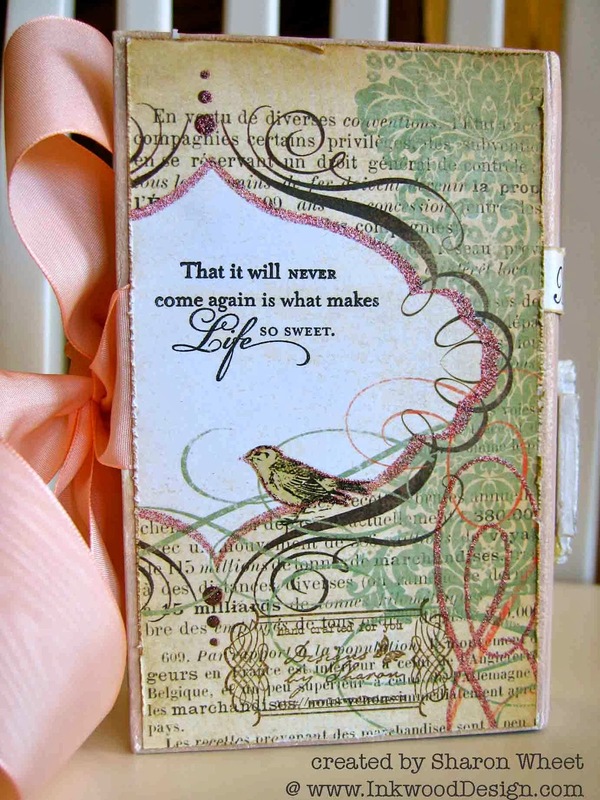 I stamped the 'title' with a stamp from Loving Thoughts by Stampin' Up! onto a scrap piece of the Market Street pattern paper. I also added a white resin lock by Melissa Frances. 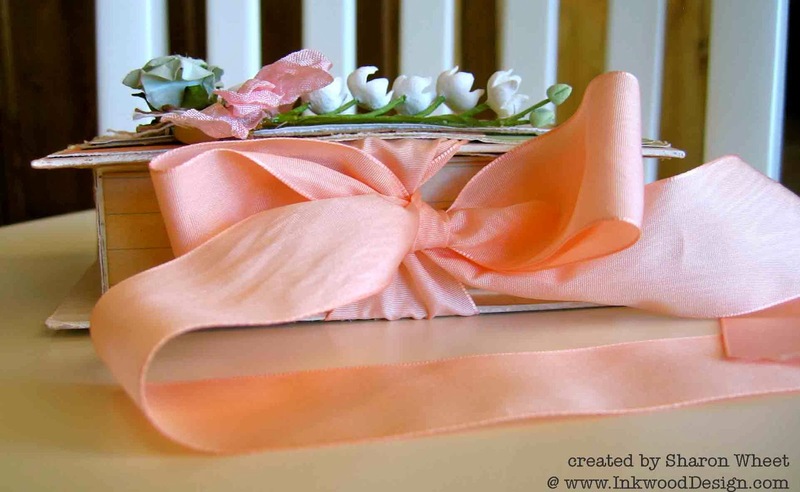 I used a scrap piece of some beautiful peach colored silk ribbon by Martha Stewart. I purchased the ribbon probably 5 years ago from a local scrapbooking store. I thought the ribbon matched perfectly. 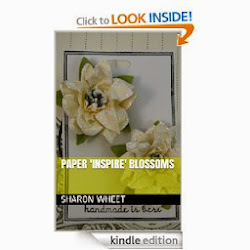 All the edges of the pattern papers were distressed with ink or ink and scissors. I used scor tape to adhere the papers to the box. 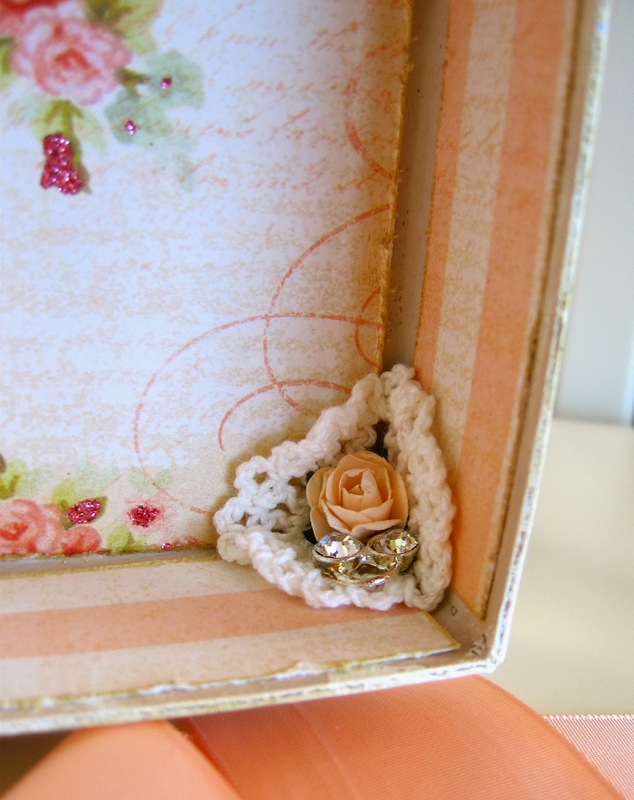 I used my glue gun to hold the various embellishments to the box. oops! I forgot to show you the bow! Thank you so much for stopping by and taking a look. I am off to my craft room once again to finish my desk top calendars. Yep, I still have 2 more to make. And January is almost over! I love it! 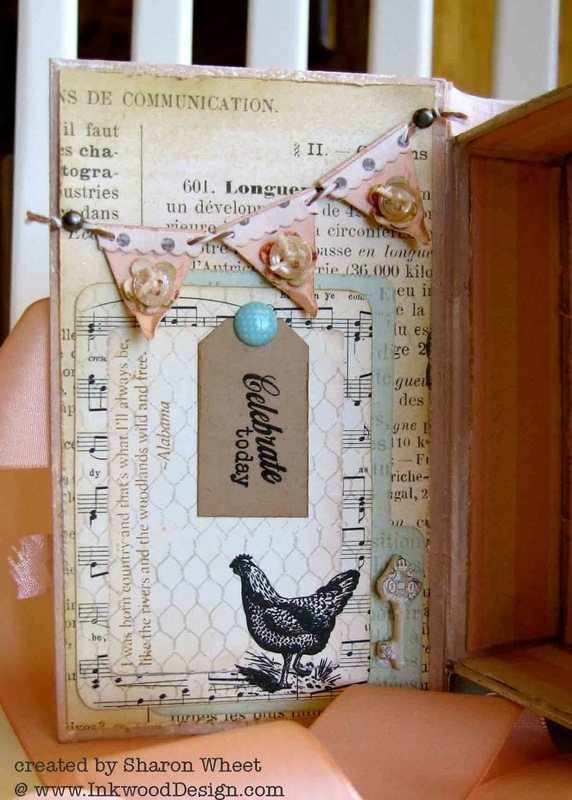 Such beautiful paper and I really like the chicken wire stamp. So pretty how you put it all together! 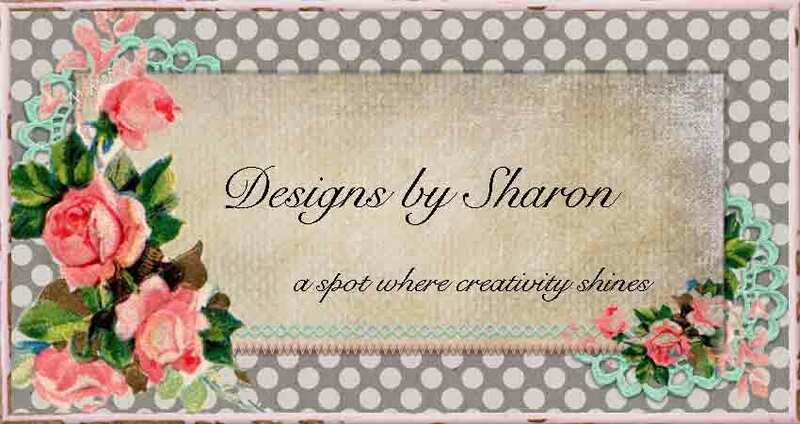 Sharon this is so lovely!! Love all the details you have added!